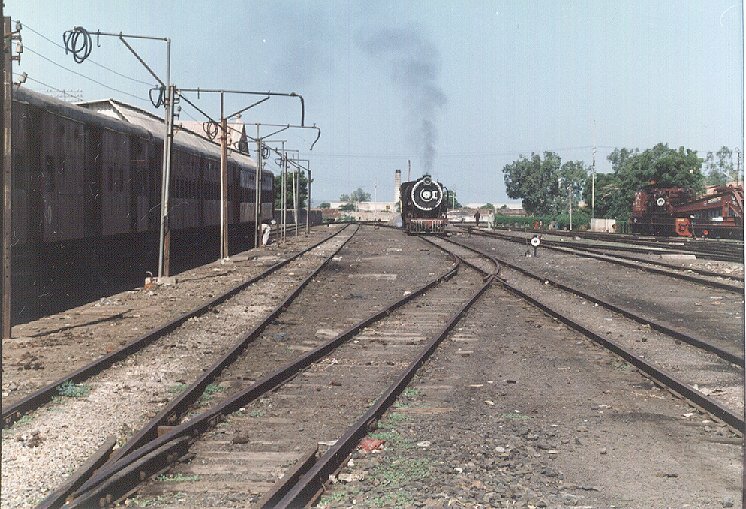 These are some pictures from Dr. Shirish Yande's 1993 trip to and from Rajkot. YG 4098 draws closer. I visited WKR after 6 years in Jan, and there is hardly any change. 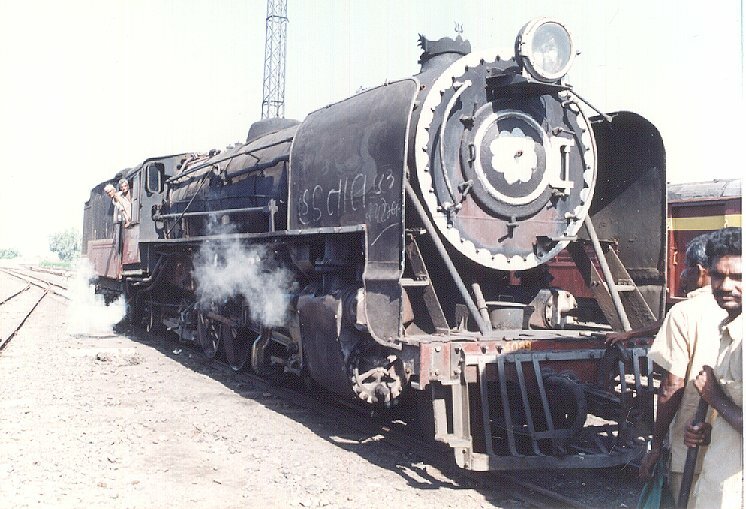 The Gujarathi text on the smoke deflector is a call for 'Hadtal' - strike (industrial action) ! 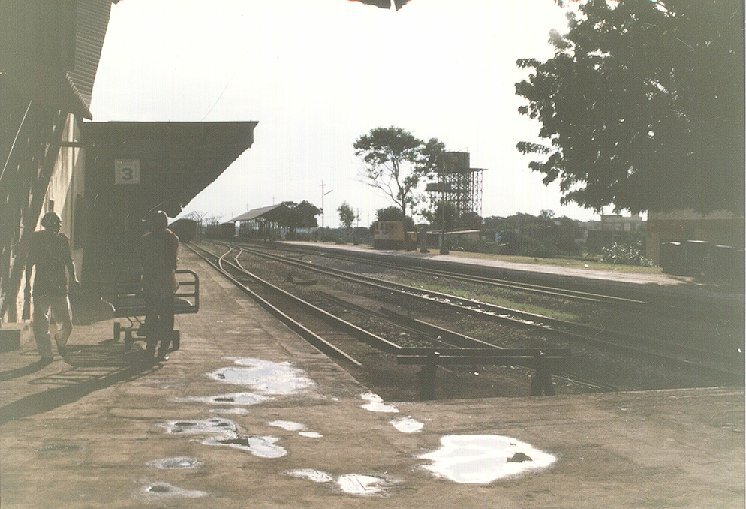 The idyllic MG terminus at Surendranagar - how I wish we had a peaceful MG station at Pune. 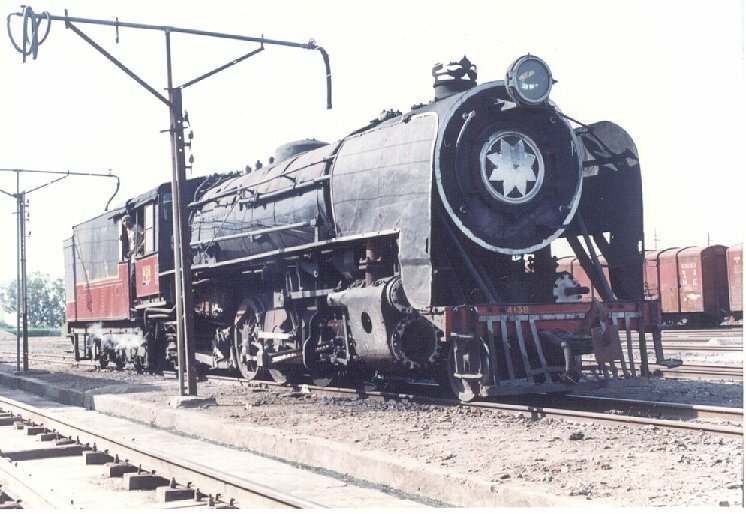 One more view of the EMD power, I am particularly enamoured by the small 'belly bulge' at the buffer beam to form the lower part of the cab. I also like the lovely classification lamps and the rakish horn trumpet. 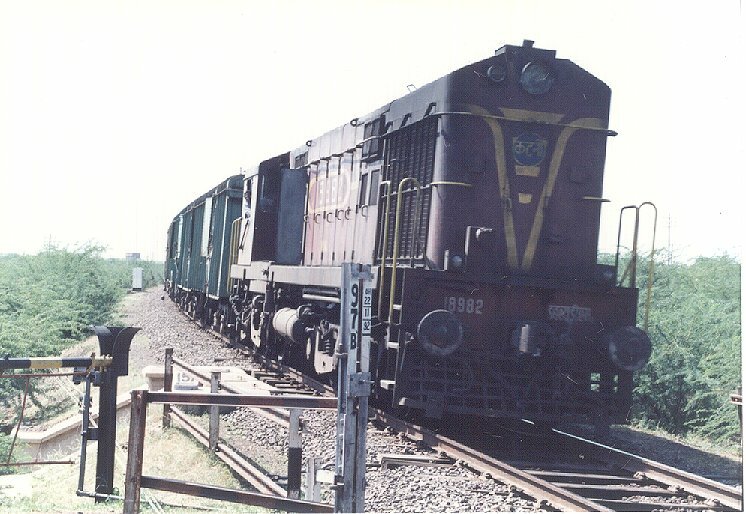 Katni shed WDM 2 # 18982 hauls a BCN load past a level crossing. The vibration has opened one of the hood doors, obstructing the drivers line of sight. The train cannot be stopped for such a small reason and the door will be secured only at the next stop. The BCN rake speeds by. 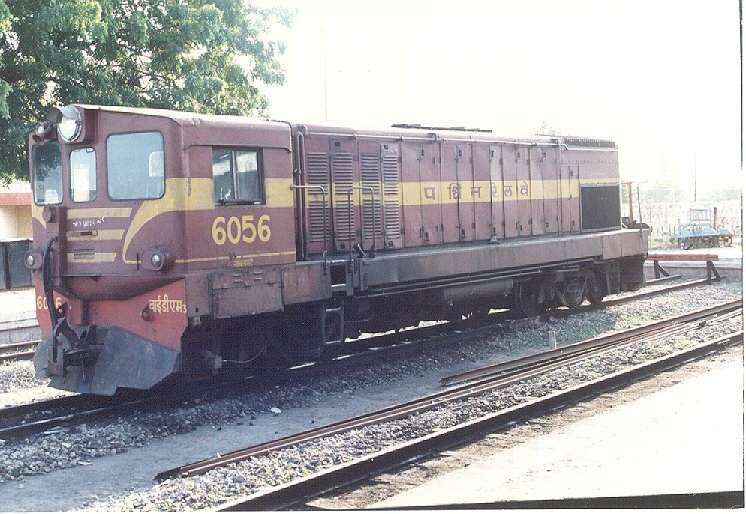 The location is near Wankaner (WKR = km 696), while this is km 707. The tough vegetation is typical of the arid area. 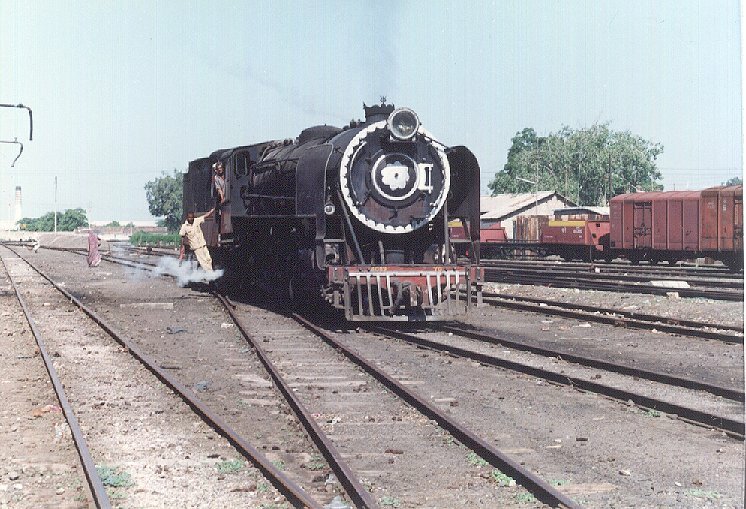 More steam power at Wankaner on the way back from Rajkot. 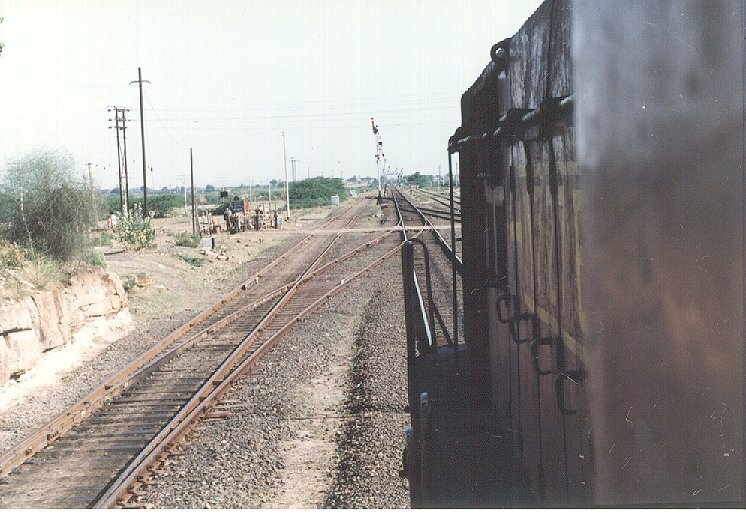 Again Shirish runs across to the MG side of the station while his 9018 Up Saurashtra Janata waits on the BG side. 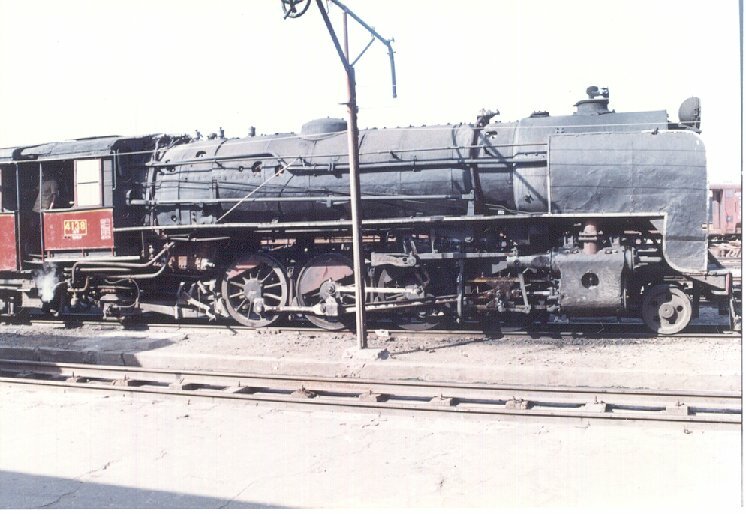 YG 4138 with a classic round shell headlight. 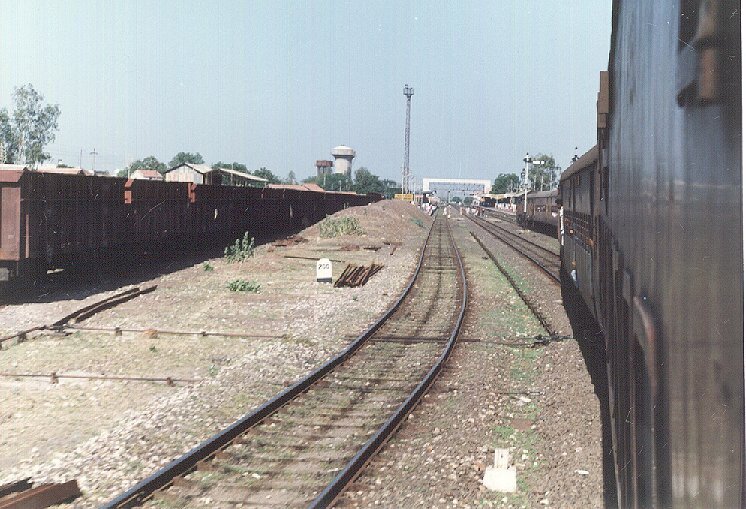 The gantry near the YG is used to fill the water tanks of the MG rake. 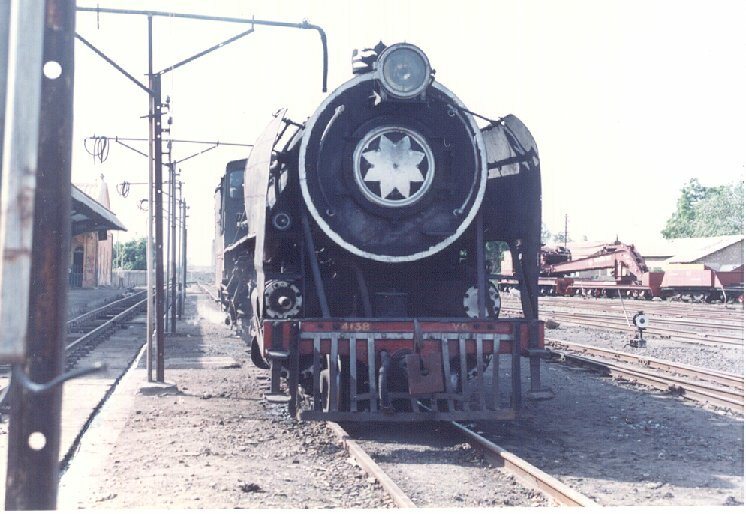 View from the front. 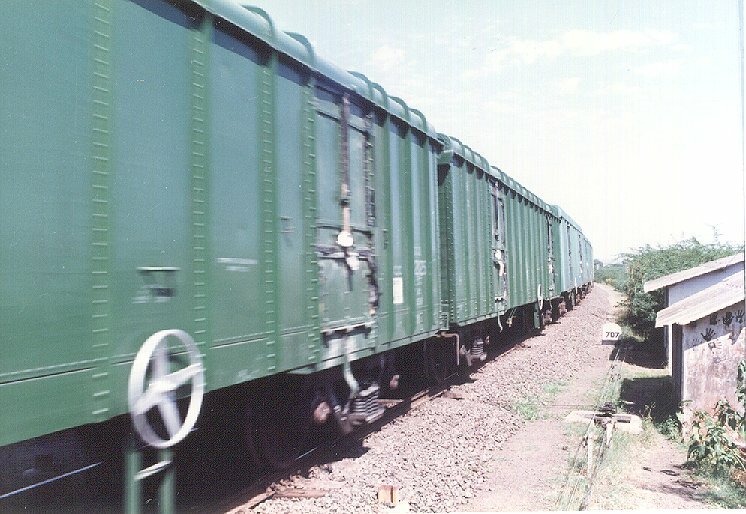 The MG breakdown rake on the right. 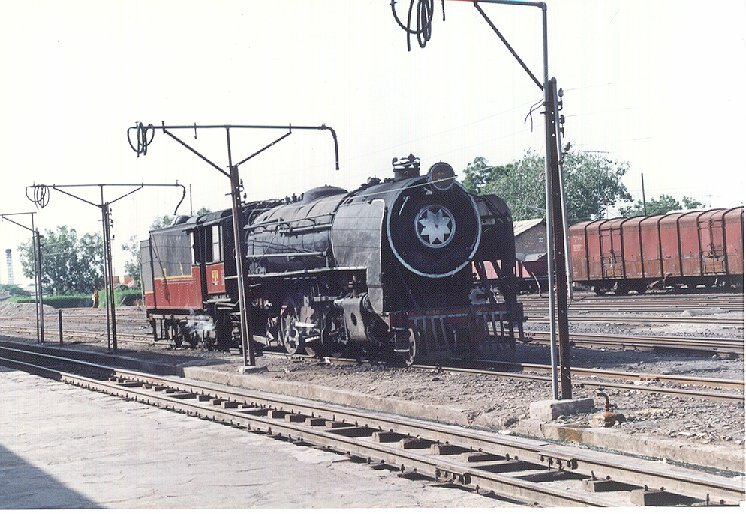 On the WDM 2 footplate, the 9018 Up gets a 'Starter Right' at Wankaner. 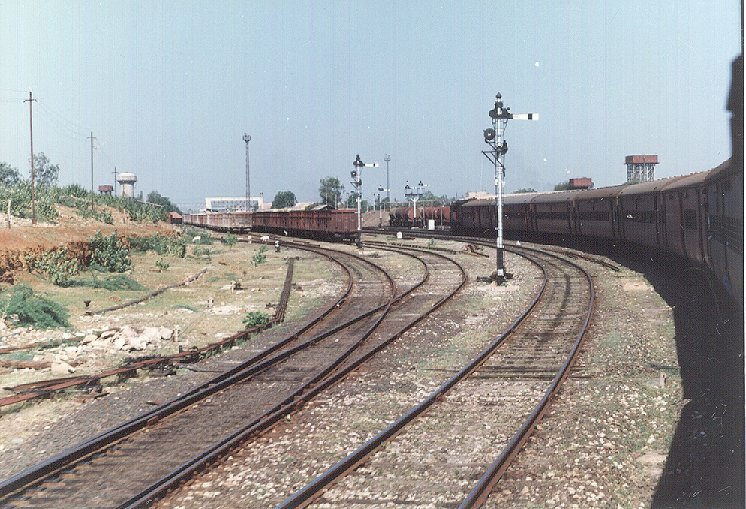 The TK wagons on the left have watering gantries on top ! 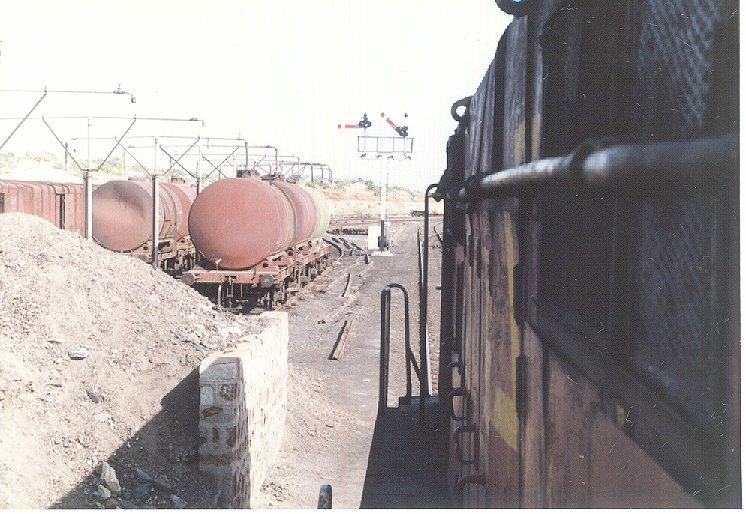 These carry drinking water to the arid areas of Saurashtra. 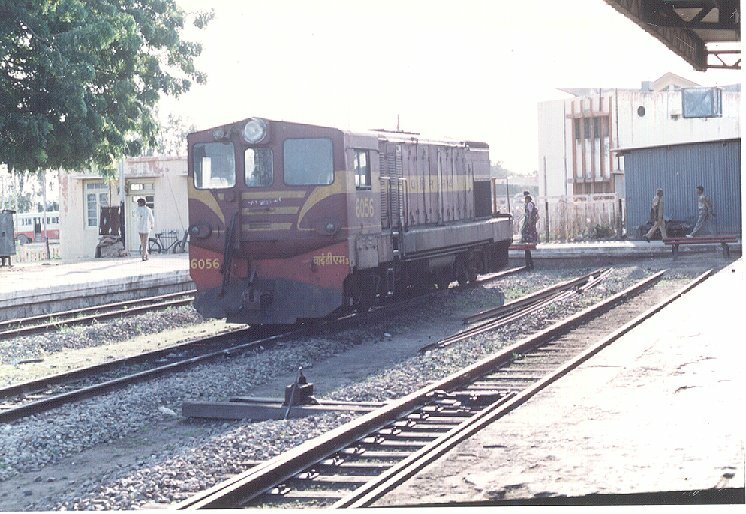 'Advanced starter right' for the 9018 as it thunders out of WKR towards Viramgam Jn. 'Long hood leading' is my favourite position for footplating. The lively response and sounds from the massive engine in the front makes up for the lack of vision.